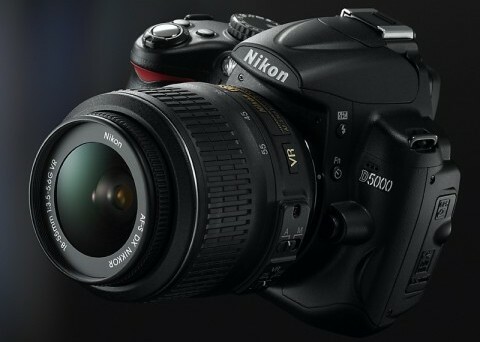 Nikon has announced the latest addition to its DX-format D-SLRs family, named as Nikon D5000, which incorporates 12.3 effective megapixel CMOS image sensor, EXPEED image processing system, 2.7-inch unique Vari-angle monitor D-Movie function, aiming to deliver renowned Nikon quality. The Nikon D5000 Digital SLR camera that compatible with a comprehensive selection of NIKKOR lenses is expected to be available later this month for about $730 (body only) and $850 (bundled with AF-S Nikkor 18-55mm f/3.5-5.6G VR lens), respectively. In addition, Nikon has also announced the ultra-wide-angle zoom lens for DX format DSLRs – AF-S DX Nikkor 10-24mm F3.5-4.5G ED, which slated to hit the market in coming May for about $900.